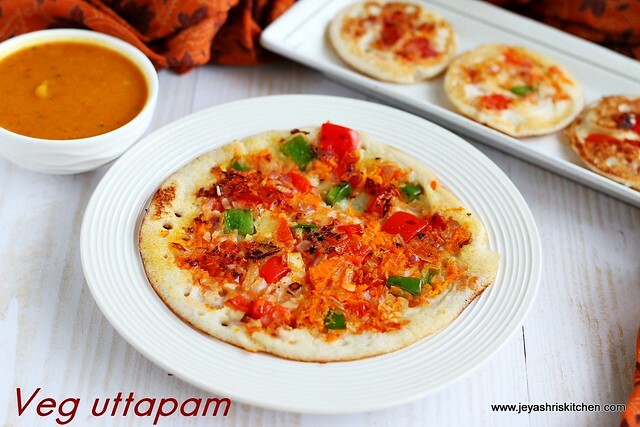 Veg uttapam | uttapam is a South Indian breakfast recipe, generally made with left over idli|dosa batter. 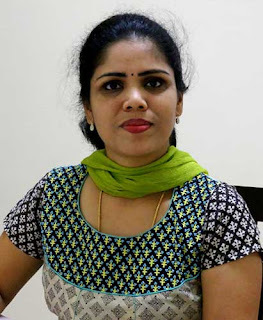 I have posted small uttapam recipe in jeyashri's kitchen inspired by Murugan Idli kadai. 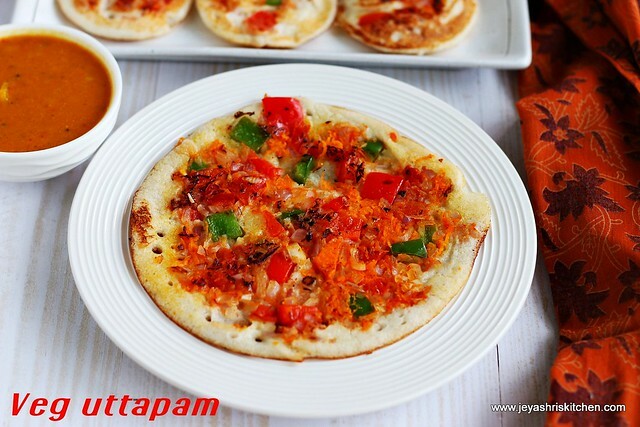 I actually wanted to try 5 taste uttapam but since i have already posted mini masala uttapam recipe, i thought i will make the normal veg uthapam. The uttapam was quite filling and loaded with veggies. 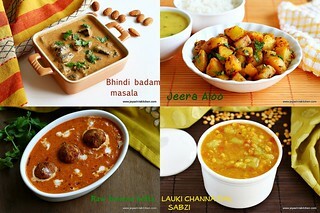 You can serve this without any chutney or sambar too. Oil to make the uttapams. 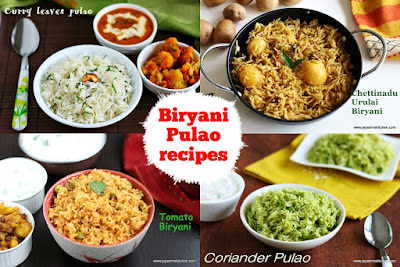 Keep the onions, carrot, capsicum and tomato in a bowl or plate. Take out the seeds of the tomato and then chop it and add to the mixture. Add red chili powder and salt to this. Mix well. You can add some finely chopped coriander leaves too. Take 2 medium sized ladle of dosa batter on a hot dosa pan. Keep the flame medium. Sprinkle generous portion of the veggie mix on the top of the dosa batter. Let this cook. Pat the veggies with using the spatula. 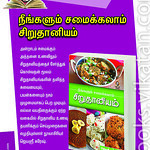 This will help the veggies to go inside the batter and will not come out while flipping the uttapam. 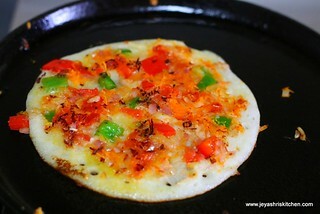 Once one side is cooked flip the uttapam carefully. 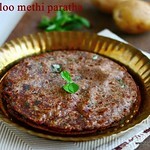 Veg uttapam is ready to serve. 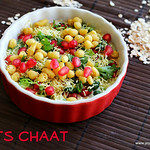 You can add grated beetroots also to the uttapam. 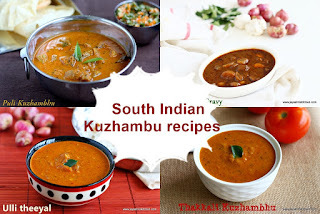 Instead of red chili powder you can add idli molaga podi too. 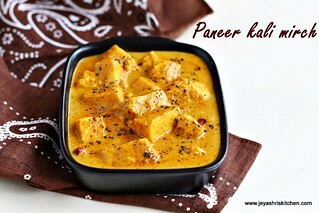 You can make this with idli batter too. You can add some garam masala, mint leaves to give a different taste. 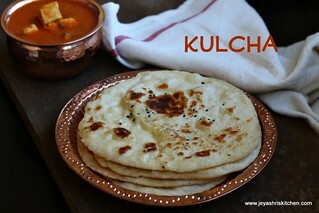 You can make this as mini uttapam and make different flavours as 5 taste uttapam too.